Touch Mobile subscribers can now enjoy faster internet speed by using TM’s first LTE enabled SIM card. Just make sure your area is covered by the Globe’s LTE network and your device’s specification should include 4G/LTE capability. Even if it SIM works on non-LTE device and location, those two things are considered as prerequisites to fully enjoy the features of LTE SIM. 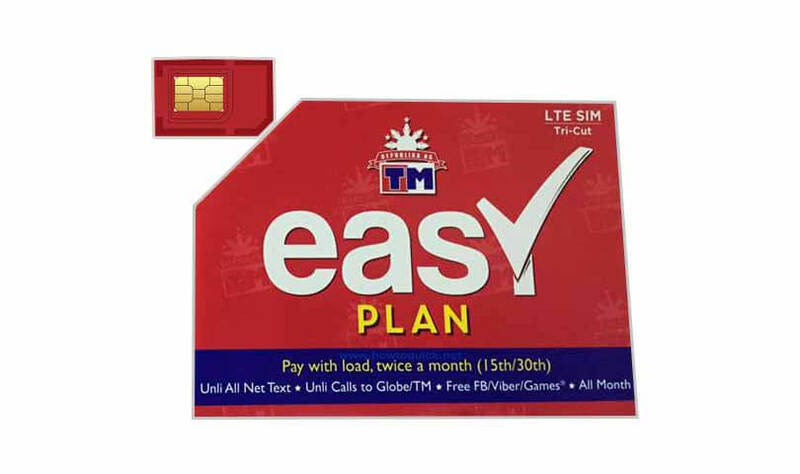 Unlike Smart and Globe, where you can buy their prepaid 4G ready SIM cards at very affordable price around 40 pesos, with Touch Mobile you have to pay more to get one LTE SIM. For now, you can only get their LTE SIM when you apply for the TM Easy Plan. It includes unlimited calls to Globe and TM and unli-texts to all networks plus free social site app access monthly. All of that cost you 150 pesos for 15 days and a total of Php300.00 for one month. You can apply via online, Facebook or inquire at your nearest Globe/TM outlet for more details. Also available TM LTE Internet Promo for your new SIM. Using the SIM you can register to GoSurf promo to test drive LTE network on your location. Turn on your mobile data, set the correct prepaid APN settings and make sure to set your preferred network type to 4G/LTE.